Having Nitta become such a treasured member of our family is an amazing bonus we did not expect. Anita Csatari has had a lot on her plate this past year. Besides taking college classes and keeping three young children clean, safe, fed and happy, she also won the InterExchange 2011 Au Pair of the Year award and was featured in an InterExchange video about her extraordinary time in the U.S. with her host family, the Esparzas. The busy Budapest, Hungary native has been an au pair for the Esparza family since September 2010 through InterExchange Au Pair USA, a U.S. Department of State-designated au pair program. While hosting an au pair for child care is a lesser-known option than daycare or hiring a nanny, the au pair program continues to attract interest from parents who are concerned with the dependability and cost of more traditional forms of child care. With three young children, one with autism, Rebecca Esparza was looking for child care with a strong level of commitment and feels Anita was the perfect person to join her young family's life. "When I first contacted InterExchange Au Pair USA, I was struggling. I had a 3-year-old, Jake, who has autism, and infant twin boys, said Rebecca. "With special needs and twins, it was hard finding reliable people to help." 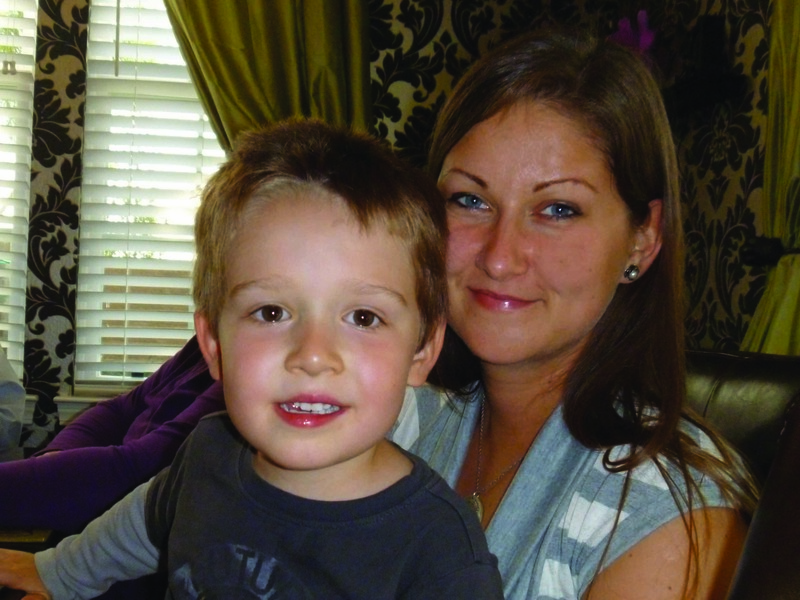 Rebecca considered several different au pairs before she found Anita through the Au Pair USA program. After speaking with each other over Skype, Anita agreed that the Esparzas would be a good match for her and arrived in San Diego after a training and orientation in New York City. "I already had experience with infants, so I did not expect any trouble with the 13-month-old twin boys. It was much more challenging to prepare for Jake, who was 3 years old at that time and has autism," said Anita. "I did my best, read books about autism and tried to do everything Rebecca suggested to me to make friends with Jake." After working together for a year, Anita and the Esparza family realized what a compatible match they were and decided to extend Anita's program for another 12 months. She also expanded her au pair duties, becoming Jake's aid when he transitioned to kindergarten. The two have become close over time and Jake's positive response to Anita is a source of satisfaction for his busy parents. "Jake is just so special to me," said Anita. "Sometimes I feel I have known him since he was born." In addition to establishing a bond between the children and their au pair, the program also focuses on the cultural learning that takes place. "We always have dinner and share our Hungarian and American cultures, laughing at the differences and the funny situations different languages and cultures can get you into. Sometimes on her days off, she'll cook some of her favorite Hungarian meals, which we all enjoy," says Rebecca Esparza. "Having Nitta become such a treasured member of our family is an amazing bonus we did not expect." Winning the 2011 InterExchange Au Pair of the Year award was a well-deserved, public confirmation of what the Esparza family already knew about Anita. The strong relationship that's developed between the Esparzas and Anita illustrates how InterExchange Au Pair USA approaches every match, and the sharing of their different backgrounds and practices demonstrates why international exchange programs continue to be an important component of global engagement.